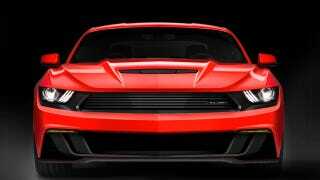 Saleen is calling it "the next American exotic". That's a stretch. 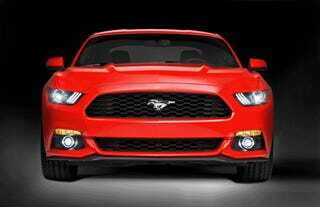 But based on this first teaser of the 2015 302 Mustang, Saleen is headed in the right direction. Like past 'Stangs, this new 302 will get the full Saleen treatment, from bodywork to suspension to engine mods. Naturally, they're not giving up details yet, but based on the previous incarnations of the 302, expect a choice of either a naturally aspirated or blown V8, with the former putting out something in the high 400-hp range and the eight knocking on the 700-hp mark. More details should come out later this year, assuming Ford can actually get around to publishing its own power figures.